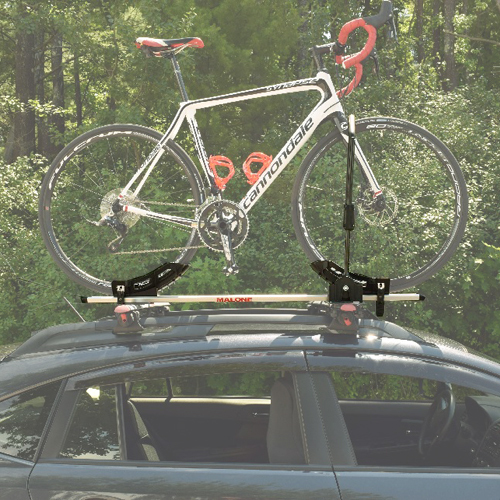 The Malone mpg216 AirFlow2 Universal Cross Railing Roof Rack is an economical roof rack system for transporting lightweight loads such as bikes, kayaks, canoes, stand up paddleboards SUP, surfboards, skis, snowboards and roof-top cargo boxes. 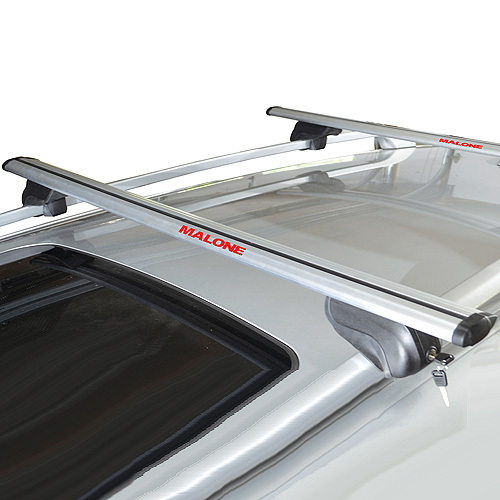 Malone's non-corrosive, aluminum, double walled, aerodynamic bars are designed to fit most factory installed raised side rails. 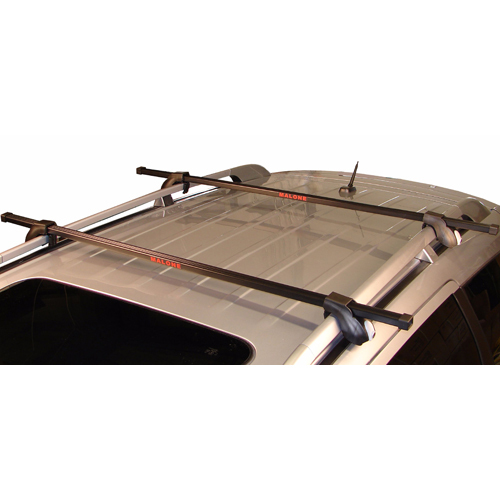 The Malone AirFlow2 mpg216 Universal Roof Rack is rated to carry the maximum weight rating of your factory installed raised railings. 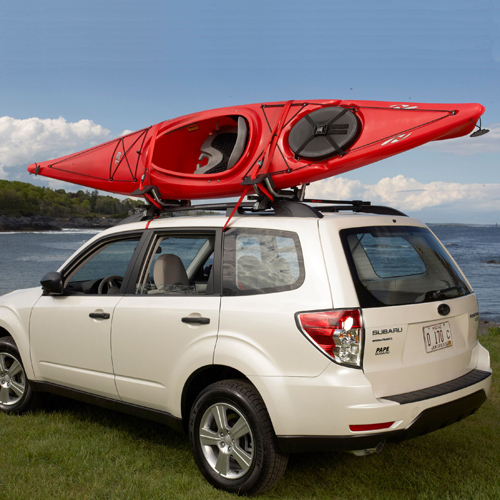 The aero bar design reduces the wind noise for a quieter ride. Malone's mpg216 AirFlow2 Cross Rail System is fully assembled and ready to install, without tools, right out of the box. 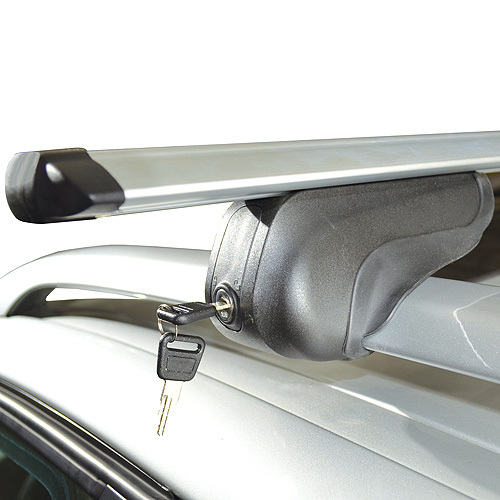 Locks and keys are included to lock the crossbars to your factory raised rails. 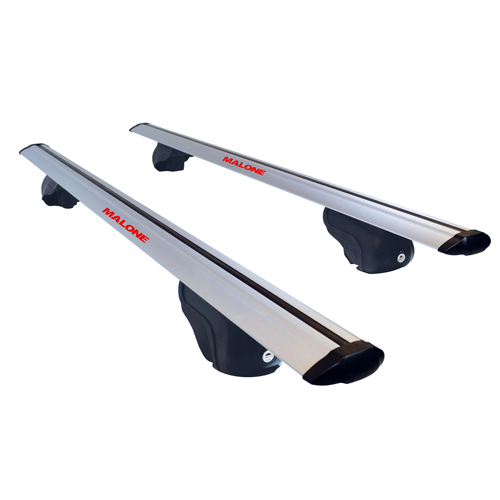 The Malone aero bars have integrated t-slots for mounting accessories with channel slot hardware. 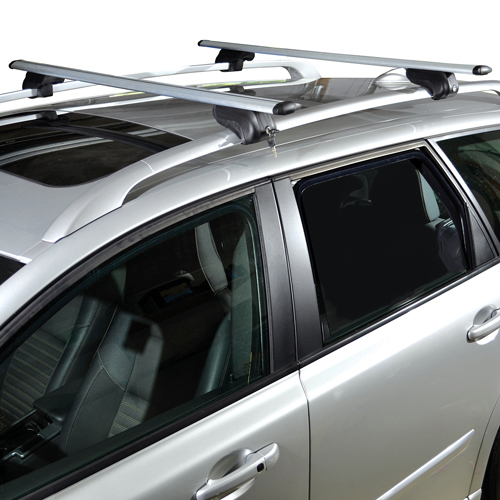 The AirFlow2 mpg216 complete rack system includes two 58" silver aluminum crossbars, four integrated towers, four locks, two keys, and four end caps.